There’s a reason why spring cleaning is an annual tradition. Not only is it an ideal time for cleaning musty linens, dusting dingy baseboards, and vacuuming forgotten corners, spring fever also makes it easier for homeowners to dive into their duties. 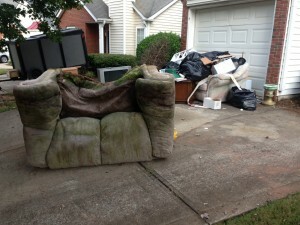 Unfortunately, that readiness to get rid of junk leaves many people aimless in their spring projects. To help you get started, we’ve compiled our 6 best blogs on spring cleaning. Everything You Need to Know About Spring Cleaning: They say the beginning is the very best place to start. Get ahead of your home messes with this spring cleaning checklist. Simple Tips on How to Downsize: Whether you’re moving to a new state, a new neighborhood, or a new, uncluttered way of life, downsizing is a challenge. Make home organization easier with these tips for getting rid of old furniture, electronics, and home junk. 5 Items to Throw Away (Right Now): Having trouble letting go of sentimental items? Here are 5 items you can (and should) toss ASAP. 5 Places Everyone Forgets to Clean: Tossed your 5 grossest items? Get a fresh start by tackling this list of the dirtiest places in your home. Cleaning with Kids: Kids may have the best intentions, but even the most well behaved child can make cleaning a nightmare. Get ahead of home organization with these tricks for getting kids involved in cleaning (without causing a meltdown). Tips for Making Home Organization Last: Do you find yourself procrastinating spring cleaning because you know your home will look like a disaster zone in less than a week? Keep your home organized with these helpful tips. Spring cleaning is infinitely easier when you’re not bumping into piles of junk. Call Mr Junk to haul away old furniture, broken appliances, and boxes of unwanted stuff before you get down to scrubbing baseboards and dusting shelves. Your home will thank you for it.